Root canal. Just the mention of this not-so-uncommon dental procedure can send shivers down the spine. Actually, however, you can save the shivers for the thought of losing a tooth because you didn’t have a root canal. At Boston Smile Center in Brookline, MA, Dr. Alan Sasson combines modern dental anesthetics with a gentle touch to perform a practically painless root canal that will save your tooth and eliminate the pain associated with a tooth root infection. Left untreated, such an infection can lead to an abscess at the tip of the tooth’s root or the infection may spread to the jaw and neck. During a root canal, Dr. Sasson removes all of the infection and associated debris from inside your tooth and the root. The root is filled with medication and a biologically inert substance and is then sealed from further infection. 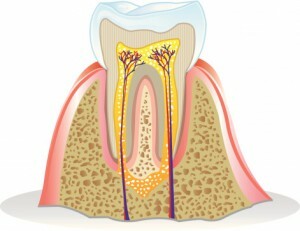 Usually, this tooth will require a crown to protect the root canal. You’ll care for this tooth like your others, with at-home oral hygiene and regular check-ups. If you or someone your care for is having a toothache, please don’t delay having the tooth examined for whether or not a root canal is necessary. Schedule an appointment today with Dr. Alan Sasson at Boston Smile Center in Brookline, MA. Our office also serves patients from the surrounding communities of Chelsea, Newton, Somerville, Boston and Cambridge. Bad breath is something that we all must deal with from time to time, but that doesn’t make it any easier or any more pleasant when it occurs. Mints, flavored chewing gum, and mouth rinses may temporarily provide respite from malodorous breath, but these only serve to cover up the problem rather than addressing the root cause. At Boston Smile Center in Brookline, MA, Dr. Alan Sasson helps patients battling bad breath treat their condition in a way that actually works. If your bad breath woes still persist even with the above practices in place, the underlying problem may warrant specialized treatment from your dentist. We are always happy to provide you with the treatment you need to achieve fresh breath and a more confident smile. Dr. Sasson and his team understand how embarrassing chronic bad breath can be, particularly when it begins to negatively impact your social life. Fortunately, there are ways to treat and finally overcome halitosis, and we want to help. Contact our office in Brookline, MA today to speak with our caring, compassionate staff and to schedule your consultation with Dr. Sasson. We look forward to working with you to develop a customized treatment plan that suits your lifestyle. Our practice warmly welcomes patients from throughout the Boston area and surrounding communities, including Newton, Somerville, Chelsea, Cambridge, and beyond. In an earlier blog post, we discussed the dangers of gum disease, as well as what symptoms and risk factors you should be aware of when going through your daily oral health routines. If you’ve just discovered that you’re suffering from the disease, the idea of pursuing treatment can make you anxious. After all, you might remember that dentists used to get rid of infected tissue by cutting it out with sharp tools – a terrifying thought, especially if you’re suffering from tenderness and pain already. At Boston Smile Center in Brookline, MA, we don’t want you to have to worry about messy consequences like blood and stitches. You deserve treatment that is both quick and effective, while still holding your comfort as a top priority. That’s why Dr. Sasson is happy to offer Laser Periodontal Therapy™ to his patients. With Laser Periodontal Therapy™, your gums will be cared for much faster, no cutting, scalping, or stitching required! The way it works is simple – instead of using a scalpel, Laser Periodontal Therapy™ employs a dental laser that removes infection in the spaces between your teeth and your gums. The laser also seals each new, healthy site with a clot, altogether eliminating the need for pesky stitches, as well as leading to a quicker healing time. There are several benefits to using Laser Periodontal Therapy™ besides the obvious ones – for instance, the treatment is much more conservative than traditional surgery, meaning that we won’t have to compromise your teeth in order to ensure your gums are healthy. In addition, Laser Periodontal Therapy™ has also been proven through several studies to not only heal tissue, but also to reconnect it. Best of all, there’s no downtime required after the procedure takes place. You’ll be able to return to work, drive yourself home, or even go to lunch once you’re finished! Our team wants to give you a reason to smile, here at Boston Smile Center. Call us today to schedule your FREE consultation with Dr. Sasson, or to learn more about Laser Periodontal Therapy™. Our Brookline dental office is easily accessible from Boston, Brighton, Cambridge, and Newton as well. Could You Be Suffering From Gum Disease? Today, a staggering three out of four American are suffering from some level of gum disease and its effects. That’s a big percentage, and one that shouldn’t be taken lightly, by any means. Gum disease is a serious oral health condition that can result in serious pain, inflammation, and even the deterioration of bone and tissue in your mouth, resulting in the eventual loss of teeth altogether. Research has even shown that gum disease can contribute to serious conditions like diabetes and cardiovascular disease. However, even if you aren’t currently experiencing any of these symptoms, you could still be suffering from gum disease. 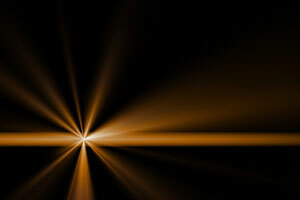 If many cases, symptoms remain invisible until the disease has progressed into the last, most destructive stage. This is why regular check-ups with Dr. Sasson are very important to maintain. He’ll be able to notice more subtle indicators of gum disease and provide effective treatments quickly. This is especially important if you are at a higher risk. Risk factors include being 65 or older, if you smoke or use tobacco, if you suffer from system diseases such as diabetes or arthritis, or if you take certain medications such as oral contraceptives or anti-depressants. 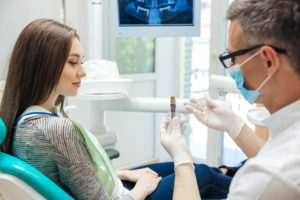 In a later blog post, we’ll discuss the revolutionary treatment we can offer you for gum disease here in Brookline, MA: Laser Periodontal Therapy™. Don’t let your gum disease go untreated! Our team will help you feel your best, here at Boston Smile Center. Call us today to schedule your FREE consultation with Dr. Sasson. Our Brookline dental office is easily accessible from Boston, Brighton, Cambridge, and Newton as well. Comments Off on Could You Be Suffering From Gum Disease? At Boston Smile Center, we may not have mastered time travel, but we do have a great service that can help you see what your finished smile will look like before your treatment even begins—it’s called SmileMagic. SmileMagic uses digital imaging to let our specially trained imaging technician manipulate a current photo of you to reflect what your smile will look like when your treatment is complete. The technician will work from very specific instructions outlined by Dr. Sasson himself and will serve as an accurate example of what you can expect to see weeks or months down the road. Because we understand that changing your smile can feel like changing your identity, and we want the experience to be as stress-free as possible. Have you been considering a major change to your smile? Let Dr. Sasson of Boston Smile Center show you what he can achieve. Using SmileMagic, we can give you a peek at your future to help you make a more informed treatment decision. Call us today to schedule a FREE consultation. Our Brookline dental office is easily accessible from Boston, Brighton, Cambridge, and Newton and provides excellent, patient-focused care.